Every homeowner knows that their list of home improvements is never-ending. As soon as you finish one project, it’s straight onto the next. Maintaining your house is like painting the Sydney Harbour Bridge. You just get to one end, and then you have to start again at the other! You’ll always think of new renovations to do, and new projects to take on. But, how do you prioritise them? Some renovations are great for the overall value of the house. They’ll boost your resale value significantly. Others are simply for your own enjoyment or comfort. After all, you want to enjoy the space you live in. Then there are the more practical upgrades and renovations. Things like security upgrades to keep us a little safer in the home. Some renovations also help us deal with the climate and weather. As we Australians know, our climate is warm and dry all the time! Most of our recent home renovations have helped improve airflow and cool the house down. Today, we’re looking at the renovations that will work towards each of these concepts. We’ll help you boost the value of your property. We’ll increase the comfort, aesthetics, and luxury-factor of your home. But, we’ll also help make it more secure, and better equipped to deal with Australian weather conditions! Ready to dive in, and get started? Let’s take a look. Ask any real-estate agent about the most important factors in house valuation, and they’ll all mention the kitchen. The kitchen is the heart of any family home. It’s where everyone gathers to cook, entertain, and share stories. We usually spend more time here than anywhere else in the house. 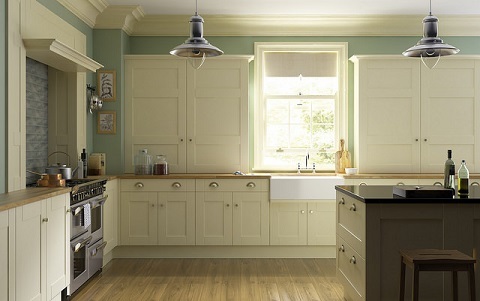 For that reason, buyers are looking for a comfortable, beautiful, and well-equipped kitchen. A fresh kitchen suite, new appliances, and a lick of paint will add serious value to your property. Plus, it will give you and your family a better space in the heart of the home. After the kitchen, your next big job is a bathroom upgrade. Again, this is a great way to boost the resale value of your property. Why? Because, buyers love to move into a house that’s all set up for their needs. If you can offer a well-equipped bathroom, there’s no hassle or change necessary. Bathrooms very quickly become outdated and shabby. By installing a new suite and modern fixtures, you instantly boost the appeal of the home. You can try some super modern upgrades such as a wet room, power showers, and jacuzzi fittings. Our favourite renovations and upgrades are the ones that pay for themselves! We’ve already talked about how kitchens and bathrooms can increase the value of the home. Energy efficiency upgrades are another way to do just that. By installing modern, renewable energy features, you can drastically reduce the energy bills on your property. In the long-term, these upgrades will save you and your family a fortune. It could include anything from solar panel installation to wind turbines to biomass heaters. You could start smaller by upgrading the windows and installing better insulation. These will all lower your bills, and boost your property value. We all want to feel safe and secure in our own home. It’s certainly not too much to ask! But, if you’re worried about your neighbourhood or local area, there are plenty of things you can do. You can start by installing roller shutters over your windows and exterior. They act as a fantastic visual deterrent to intruders. As a bonus, they’re also energy efficient, as they’ll keep the house nice and cool! It’s also worth investing in a good alarm system, and CCTV cameras if you’re particularly suspicious. When it comes to property valuation, estate agents put a high price on a good garden. Buyers are always looking for outside space, and the more the better! Families are looking for a place for the children to play. They’re looking for an area to host parties and barbecues too. 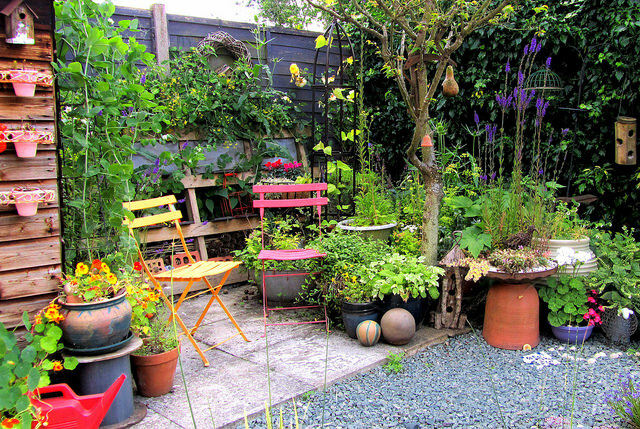 Even if you’ve only got a small space to work with, spend some time sprucing up the garden. Treat the lawn so it grows thick and green. Keep the edges trimmed and sharp, and use plants to add colour and character. If possible, install a decking or patio area to suit the garden furniture. Sometimes, all it takes is a small change to make a big impression. Something like painting the walls is a great way to give your home a fresh new look and feel. It’s one of the cheapest and easiest home improvements, so there’s no reason not to try it! As for the carpets, they’re often much cheaper than you’d expect. A soft new carpet makes all the difference in the home, especially on those cool mornings. There’s nothing like sinking your feet into a soft, comfortable carpet. An extension is a big home project. In fact, it doesn’t get much bigger than this! But, on the positive side, it will add more value than any other home renovation. Adding additional square footage is the best way to boost the appeal and value of your house. Make sure the new room is usable and functional to get the best out of it. The most common option is adding an extra bedroom in the attic or in the basement. Always try to incorporate an en-suite or additional bathroom too. The ratio of bedrooms to bathrooms is always important to estate agents and buyers. Last, but not least, spend some time improving the curb appeal of your property. That means the visual aesthetics outside your home. It’s one of the key ways to add value. Buyers tend to make a very quick decision about your property; often within eight seconds! That means you’ve got to make a fantastic impression. Fix up the front aspect by replacing the door, painting the woodwork, and tidying up the pathways and lawns. It’s a simple, but effective project. That’s all for now, folks! What are your most cost-effective home renovations? Please let us know in the comment section below.